Learn how projects are structured and how to use task lists and tasks. In Paymo there’s a mandatory hierarchical structure: Client → Project → Task list → Task → Subtask. This means you can’t create a subtask without a task → task without a task list → a task list without a project → a project without a client. 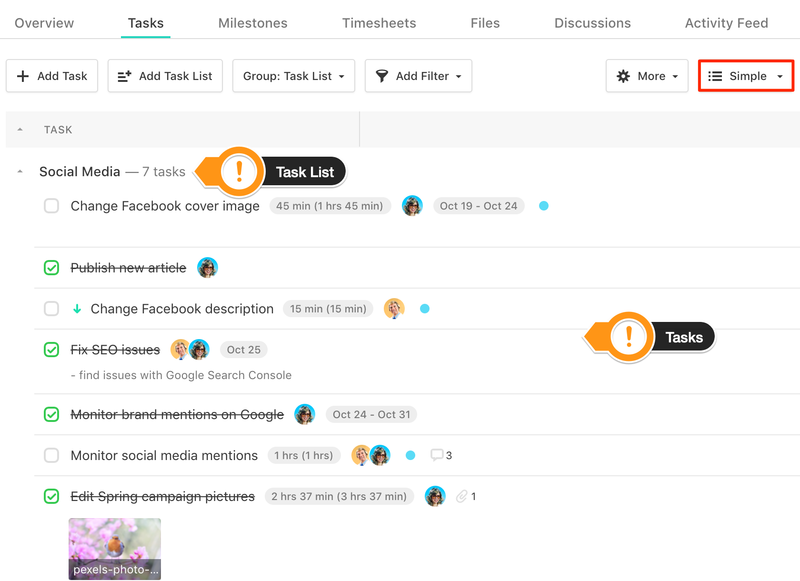 When you create a project, a task list is created by default. If you have larger projects with many tasks, it’s better to group them into several task lists so it's easier to structure them.